HELENA – Native American communities across Montana are asking the Legislature to make it unlawful to ban traditional regalia, specifically beaded caps, during graduation ceremonies. Senate Bill 319 would allow items with cultural significance to be worn at public events. The bill specifies those events to include public meetings, awards ceremonies and high school or college graduation ceremony. The bill was pulled from a Senate committee by a blast motion and passed the Senate on a 38-12 vote in February. 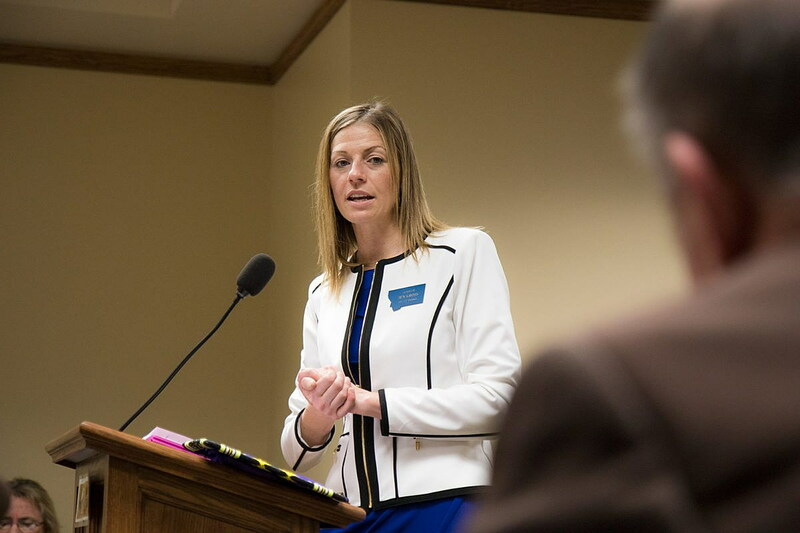 The House State Administration Committee heard testimony on the bill Tuesday. Clint Valandra supported the bill. He works in Indian education in Billings and said he sees the struggles Indian families go through to make sure their children graduate from high school. Valandra said he wants to be able to tell those parents to go ahead and show their gratitude during those ceremonies, but a change in policy needs to happen. 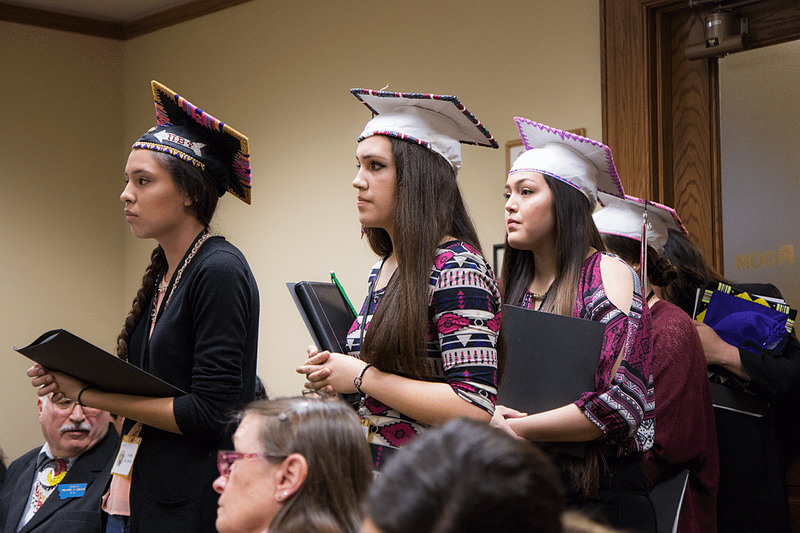 “That four years in high school that student and that family generates, it goes through all of them, the whole family members back at the reservation, that that cap was taken away,” Valandra said. “They don’t remember all the days of studying and coming to school. High school senior Georgeline Morsette, who said her sister was not allowed in 2014 to bead her cap for graduation either, agreed with Valandra that change needs to happen. “Beaded graduation caps aren’t merely for decoration or to look pretty, but there is great traditional importance to the beaded caps,” Morsette said. Cindy Swank, who wore a yellow badge in the shape of Montana that said taxpayer underneath her name, was the only opponent of the bill. “The way it’s written, it’s a pretty broad bill and it kind of gave me the impression when I first read it that anything could go,” Swank said. Swank said she mostly supports the bill, but was worried that it was too vague in its current form. She said adding language to say, “As long as the traditional regalia does not violate any local, state, or federal public safety or decency laws,” would satisfy her. Democratic Sen. Jen Gross is the sponsor of the bill and said the scope of the bill was deliberate. “We don’t feel that wearing an object of cultural significance should be limited to just a high school graduation,” Gross said.